A house in Bern, Switzerland, marries high-tech production with high-end customization thanks to a bespoke building system by architect Ali Tayar. While studying architecture in the United States and Europe, Ali Tayar fell under the spell of Fritz Haller, a Swiss architect known for his building systems—kits of parts that proved far more elegant than their industrial origins suggested. Though he designed many buildings using such components, Haller became most famous for his sleek storage units assembled from chrome steel rods and ball joints. Beloved by architects, the pieces have been marketed under the name USM Haller since the 1960s. And so Tayar began two simultaneous projects: creating new building systems and then designing a home using those systems. As a result, neither the main volume of the house or the projecting living room has a conventional frame. The larger volume is supported by a series of stainless-steel columns that are so thin (less than three square inches) that they don’t look structural. Arranged at the perimeter of the building, they function perfectly as mullions, holding windows, air vents, and elegant teak panels in a wide variety of combinations, recalling the work of Jean Prouvé. The resulting interiors are column-free. But Tayar was determined to make the house equally livable and impressive. He covered the living room floor in felt, its panels cut into lozenge shapes that mimic the room’s geometry, and made the ceiling out of perforated aluminum panels that follow the same outlines. Paneling, including large cove moldings, fit into the carbon fiber shell like a hand into a glove. The main event furniture-wise is a vast two-sided sofa designed by Tayar and covered in Maharam fabric; on one side, it’s proportioned for lying down, on the other, for sitting. The rest of the living room furniture is USM Haller. Architecturally, the main volume is a sophisticated take on the split-level, with stairs leading up to the kitchen and baths. The floors are covered in a continuous surface of terrazzo. Little furniture was required beyond a few large Tayar-conceived pieces and the Arne Jacobsen chairs around the Haller dining table. Tayar designed the owner’s bed with its rich leather headboard. Flanking the bed are built-in night stands lit softly through panels of mother-of-pearl, reminiscent of panels Tayar loved when he visited Tokyo’s Hotel Okura (which is now demolished). In the bathroom, he built a tub from limestone, one of the few remaining pieces at a Swiss quarry founded by the Romans. Like the tub, everything inside the house is custom—cabinetry is the same teak as the walls, while drawer pulls are made of leather. Hinges were made at the USM factory. Whenever possible, Tayar worked with companies, such as Maharam, that have something in common with USM: Family businesses that have focused on doing one thing, and doing it well, for generations. Tayar is philosophical about the gap between what mass production could achieve (affordable housing for millions) and what he achieved in this case: a single, high-end dwelling. And he knows his ideas may seem retro in an age of parametric design, when the latest technology allows buildings to be made of thousands of different parts and mass customization has eclipsed mass production. But he doesn’t regret his experiment. Designers need to edit, and Tayar used the ideas of mass production—what can and can’t be made from standardized components—as a guide to editing his work. And other architects may follow. Someday, “after people have made every nutty shape possible, they’re going to want to start to edit,” Tayar said. And when they do, they may take a close look at his experiment in Bern. Note: We're saddened to add that Mr. Tayar passed away in early 2016. Turkish-born modernist architect and furniture designer Ali Tayar has passed away. Tayar grew up in Istanbul and studied architecture at the University of Stuttgart and the Massachusetts Institute of Technology (MIT). 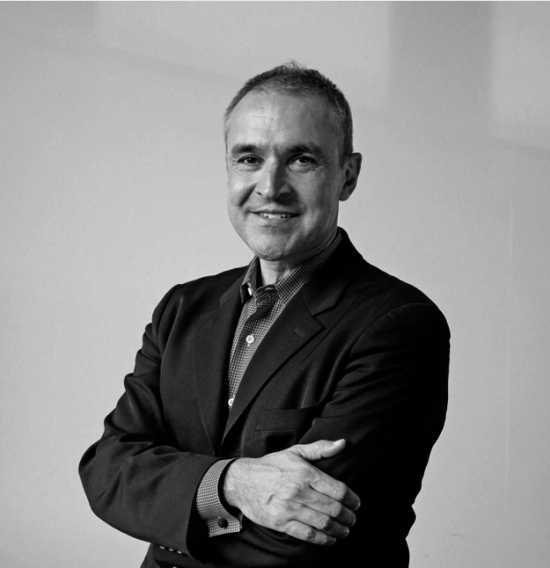 He founded Parallel Design Partnership in 1993, which derives inspiration “from the twin imperatives of structural behavior and the methods of mass-production.” He is remembered for his love of modern design, which he has applied to a range of projects including everything from furniture and hardware, to restaurants Pop Burger and Pizza Bar in New York City. As a student, Tayar fell in love with The Rockefeller apartments on 54th Street in New York City. Many years later he made his home there, after fully restoring it to its original pre-war state. 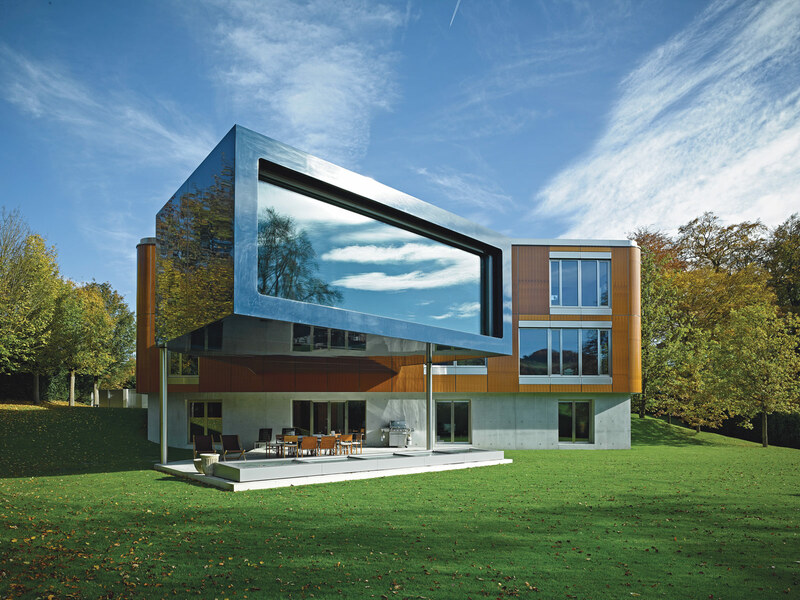 He is known for his residential designs, which include the carbon fiber Swiss House in Bern, inspired by the interior design he completed for the same family’s carbon fiber yacht. He also completely redesigned the interior of a Soho loft using bespoke prefabricated panels based on a Swiss modular housing system from the 1960s. Additionally, he designed the installations for David Hockney’s digital images at the Fondation Pierre Bergé-Yves Saint Laurent, Paris, and the Louisiana Museum of Modern Art, Copenhagen. Tayar also served on the jury for AN’s annual design awards in 2015. His work has been featured in countless exhibits including Mutant Materials in Contemporary Design and Workspheres at New York’s Museum of Modern Art, Aluminum by Design at the Cooper-Hewitt and U.S. Design 1975–2000 at the Denver Art Museum. His work is represented in the permanent collections of the Musée des Arts Decoratifs de Montreal, the Denver Art Museum, the Carnegie Art Museum, and the Metropolitan Museum of Art.